Flavors are important when it comes to cooking so let WFT8 Choices spoils you with great products. 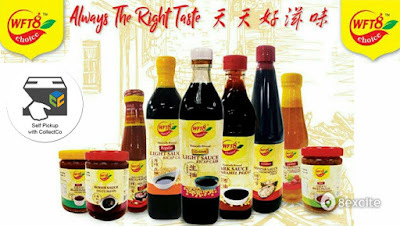 With a wide selection of items like Light Sauce, Dark Sauce, Bean Paste, Plum Paste and more, those can be used to enrich your food when cooking. Besides that, they also work nicely as a dipping sauce. With multiple ways to use them, bring out the chef in you. Use 8excite promo code SUREDAPAT during checkout to get additional 10% discount!